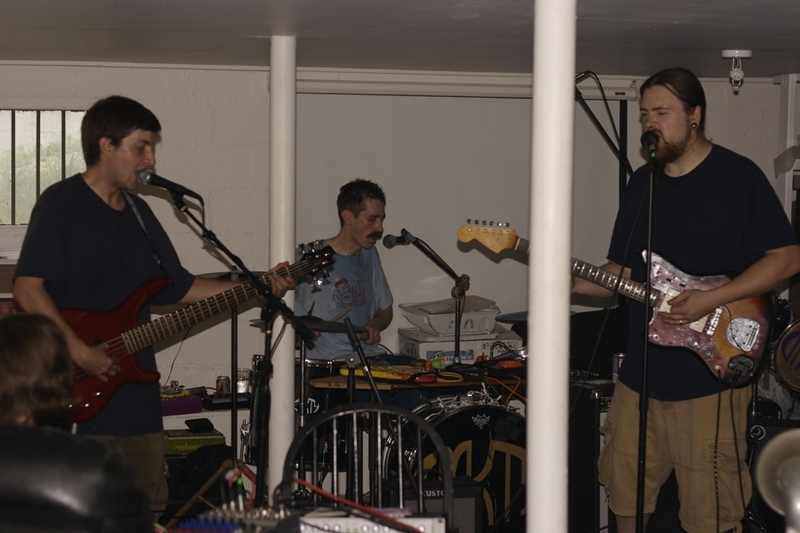 You may remember CMKT4 — circuit-bent rock ‘n roll trio, GetLoFi writers, makers of the bottlecap contact mic, and members of the greater Chicago circuit-bending collective — from podcast 23, Artificial. While in Nashville, they were kind enough to come on T.I. again for an artist showcase. On episode 29, hear CMKT4 play their brand of off-kilter rock ‘n roll while discussing their 2010 tour, circuit-bending, and Abby the Spoon Lady. They even give us a live demonstration of the bottlecap contact mic. Although they use home-made and circuit-bending instruments, CMKT4 is really a rock ‘n roll and thus falls a bit outside the scope of T.I. Still, the deviation is quite worth it. Hope you enjoy! I apologize for the clipped-vocals in some sections — with three vocalists, drums, bass, guitar, and a multitude of toys, we had to bring in a second mixer that I was unfamiliar with. To keep the duration under 45 minutes, I had to cut 2 songs; but you can download the concert in it’s entirety by following this link. Check out CMT4’s video tour diary by visiting Creme Dementia’s Vimeo page.